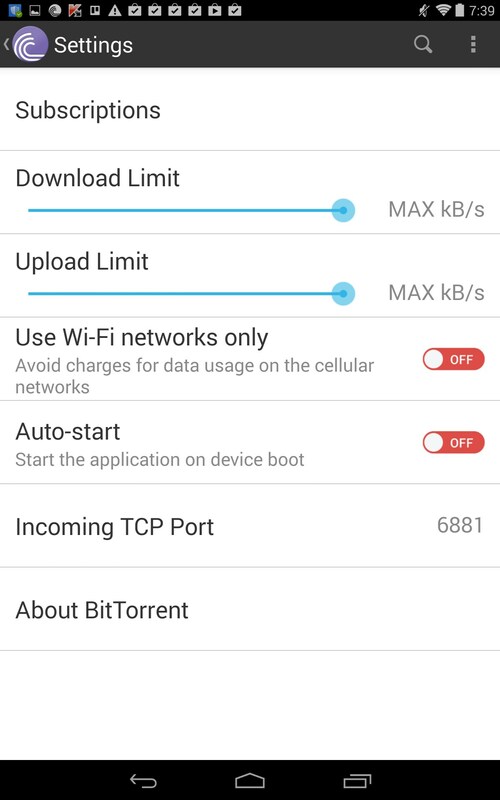 BitTorrent – Soft for Android 2018 – Free download. 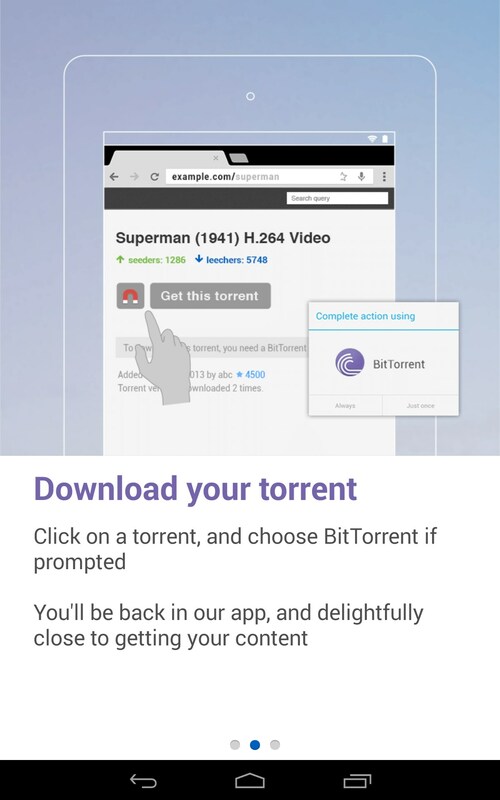 BitTorrent – Meh... it's a dud. 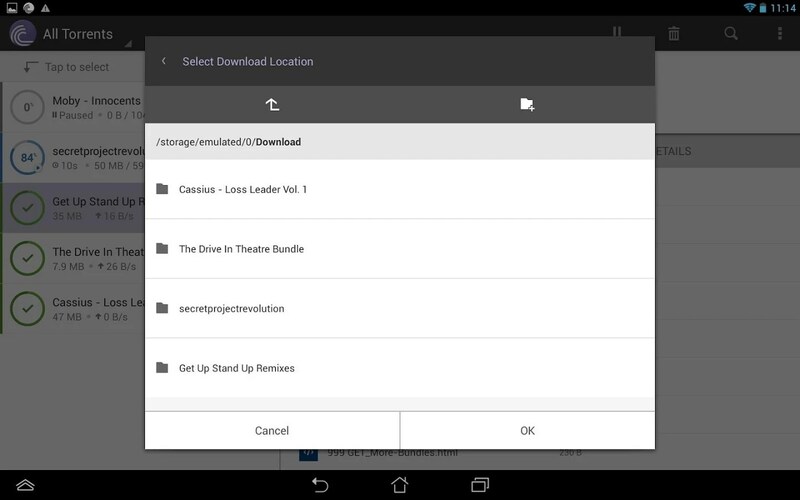 BitTorrent for Android is exactly what it sounds like: a torrent downloader. 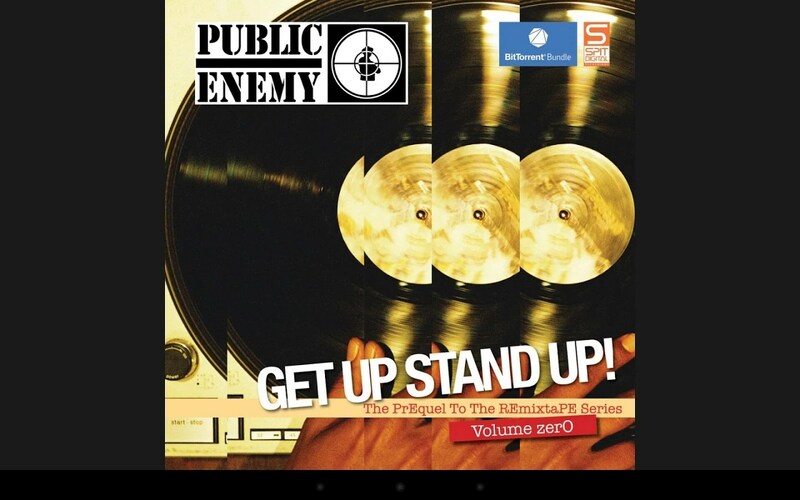 If you know what a torrent is, you’ll be happy; if you don’t… well…. my advice is don’t bother. 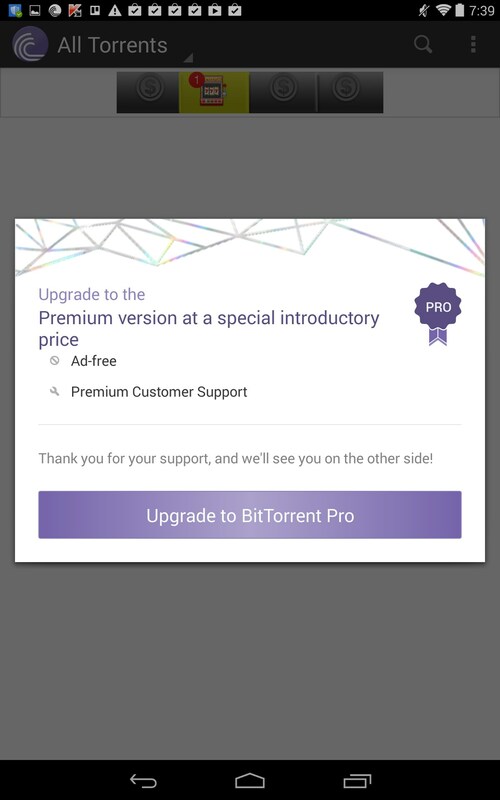 BitTorrent unfortunately did not work for me at all. 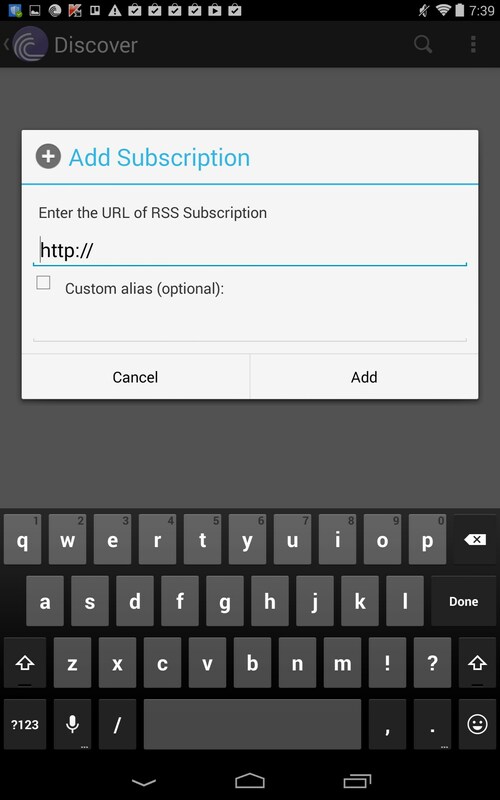 The app has a very simple interface; perhaps too simple, because I couldn't get it to actually do anything other than open. I used to be into torrents, and to my limited understanding, the bulk of their use is piracy. Sure, there’s a bunch of other things they might be about, but piracy is first and foremost. A torrent itself is just a metadata file that contains information on download packages and files. The torrent itself isn't piracy, but the files they help you download probably are. Let’s face it, no one is downloading legal backup copies of CDs and Movies purchased legit. Somebody must be playing by those rules, but not most. 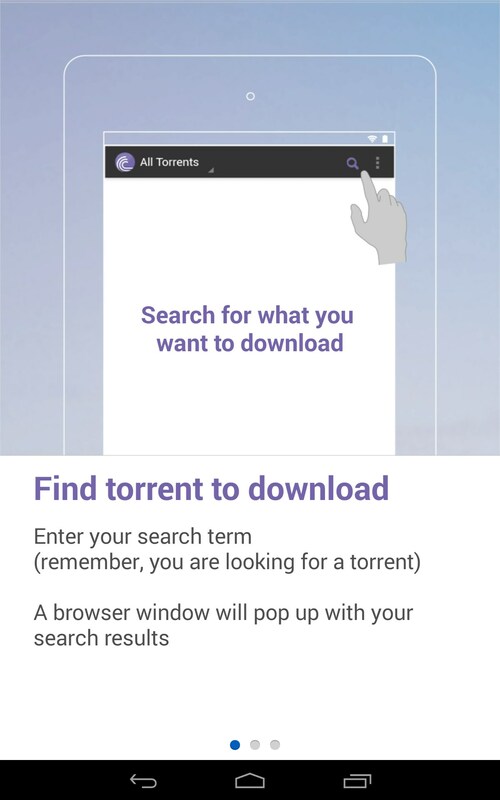 The app itself says that searches will launch an external browser and then downloads will cue back to the app. 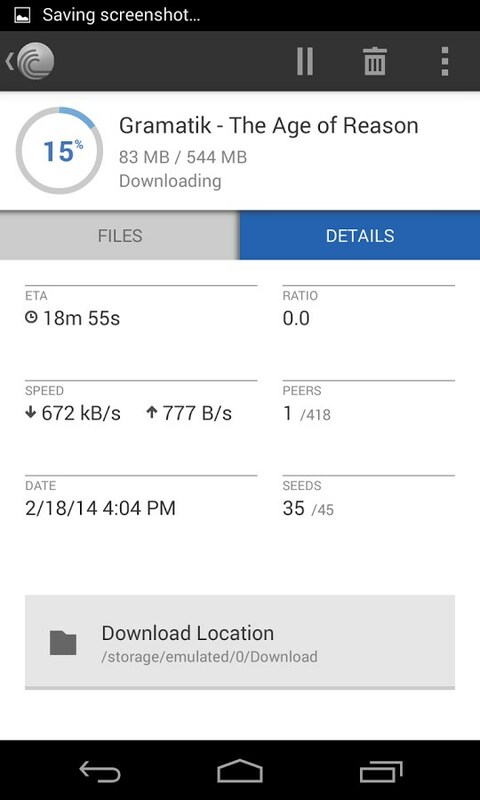 But none of my old trusted torrent sites seemed to work at all with this app. So that, in and of itself, kinda makes this a fail, since it’s the one true function of this app. 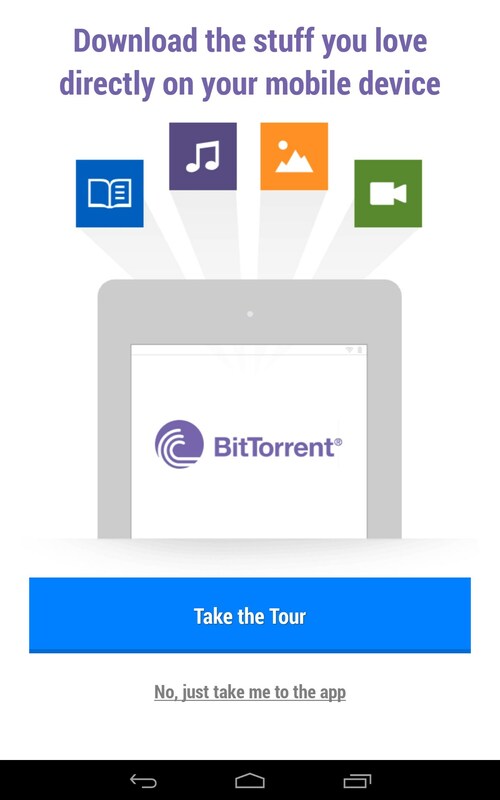 BitTorrent, even if it worked, would essentially just be a downloader. Not sure that an app is even necessary, nor why it is so difficult to ask that this app just work from the get-go. I gave up on torrents in principal after Demonoid was forced to shut down ..then reopened …and shutdown … and ….well, you get the point. If there’s a legit way to use torrents, I don’t know what they are or anyone that uses it for that intended purpose. 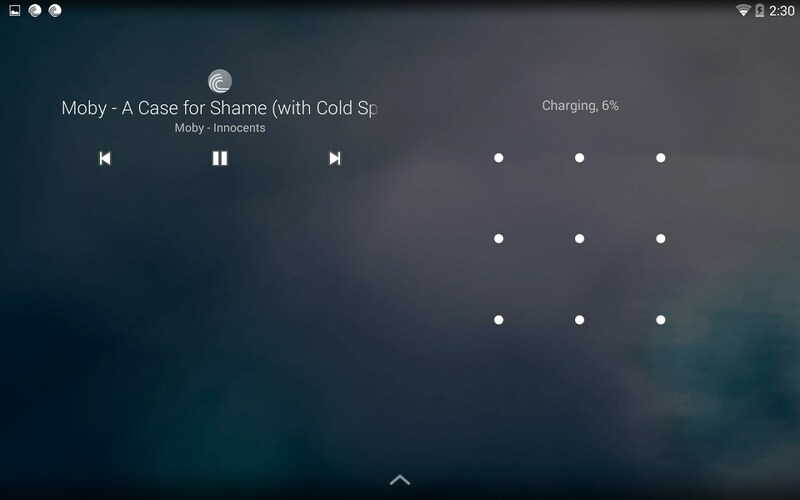 So, I’m left at a loss with this app. But hey, that's just me. Principals aside, it just didn't work; plain and simple. And torrents are notoriously a high risk for viruses and hackers. I've been victim to it myself because of a bad torrent. Is all that risk really worth it? Just buy the Cd or rent the movie. So much easier and less headache; just sayin'.